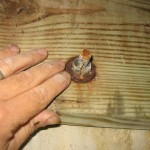 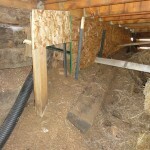 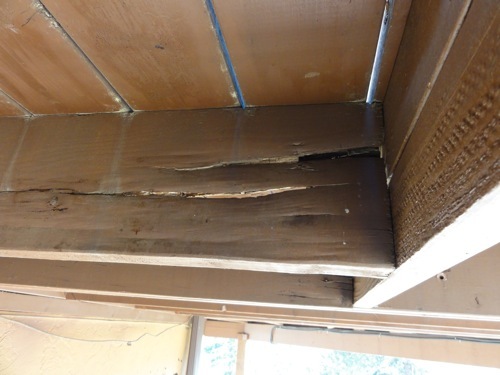 Wood rot at deck components can pose a safety hazard as well as a structural concern. 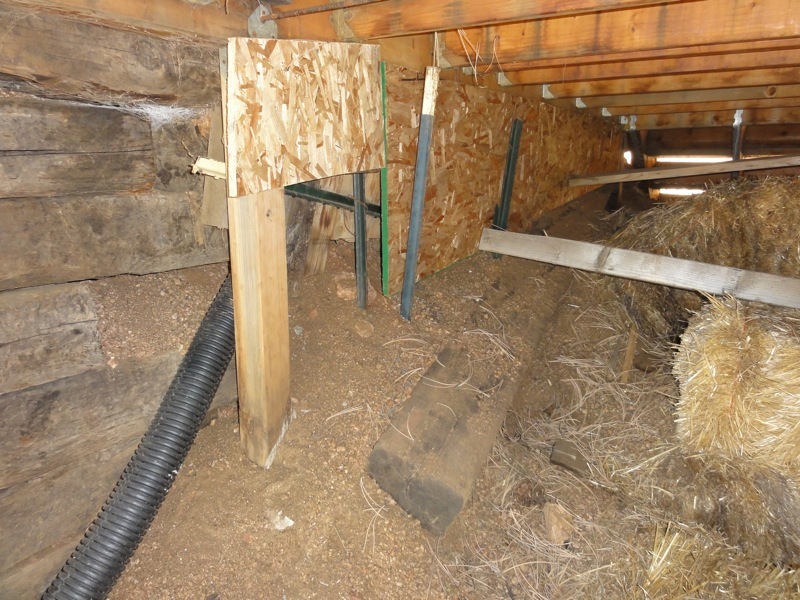 Untreated wood should never be in direct contact with the ground. 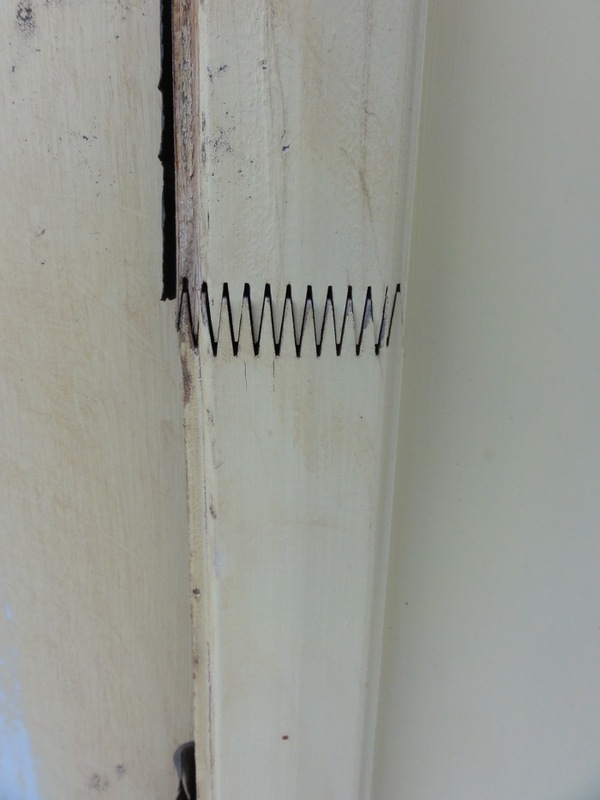 The finger joint at this component is separating. 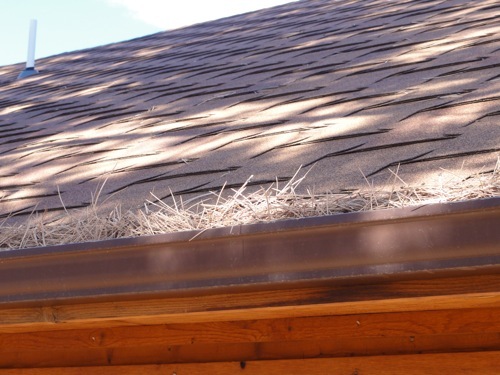 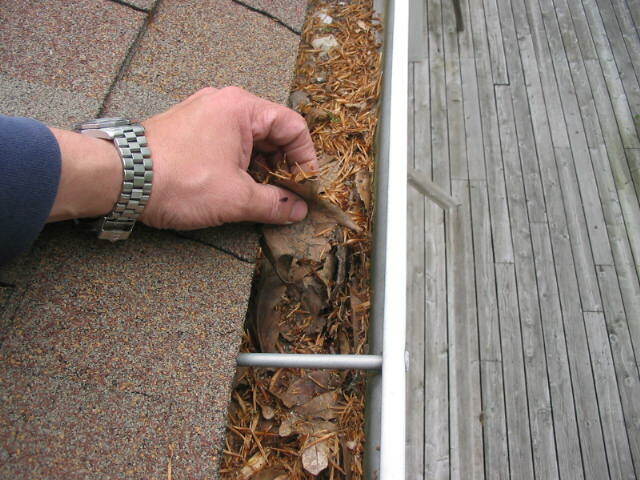 A clogged gutter may cause water intrusion problems. 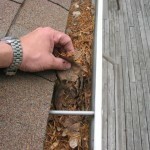 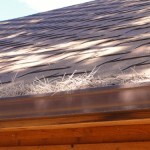 The gutters require regular inspection and cleaning. 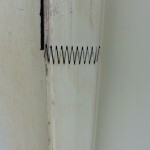 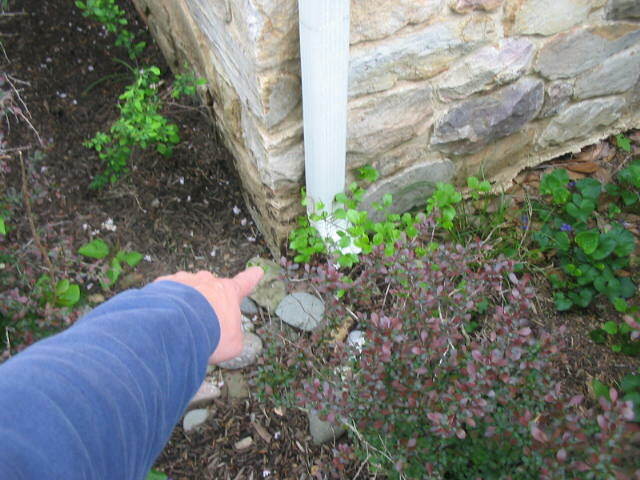 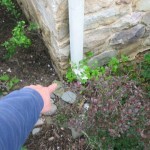 Downspouts should divert water away from the foundation. 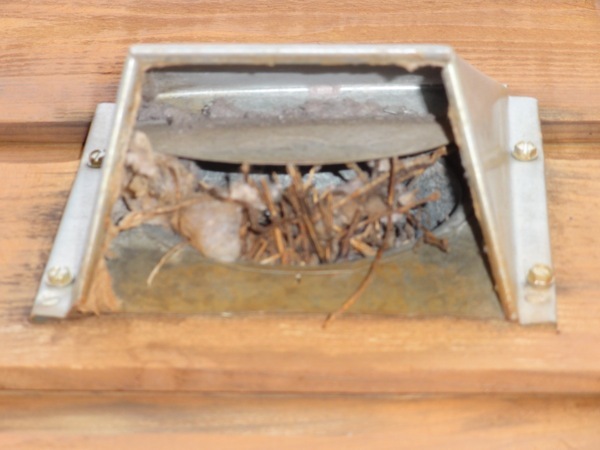 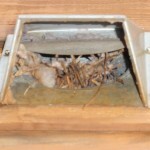 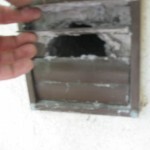 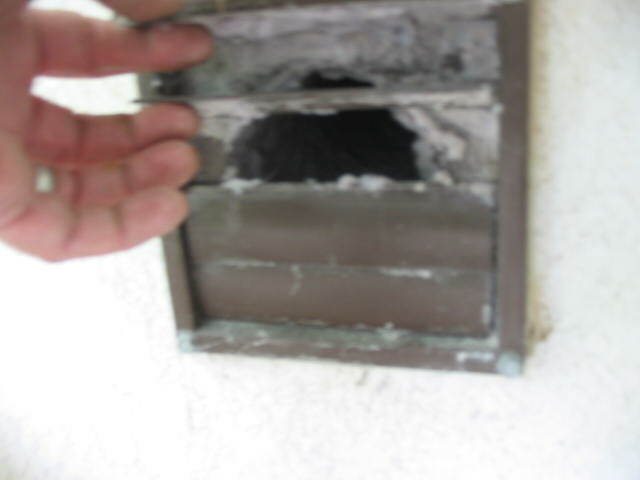 Nests are often found clogging an exhaust vent. 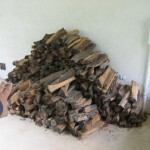 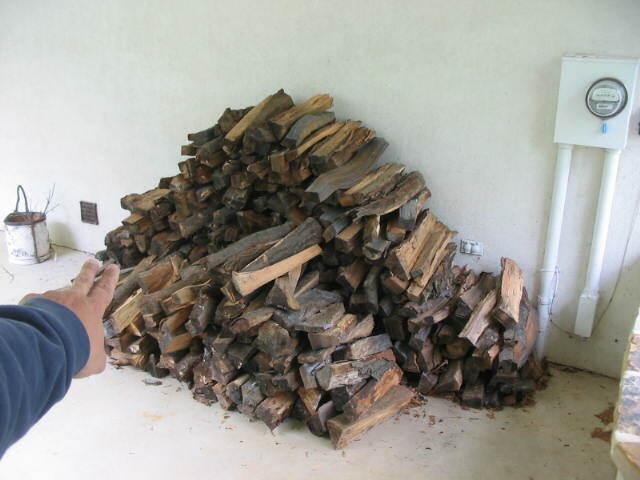 Firewood should never be stored against the house siding to help prevent infestation of wood-destroying insects. 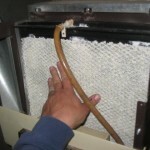 Dryer exhaust hoods require regular inspection and cleaning. 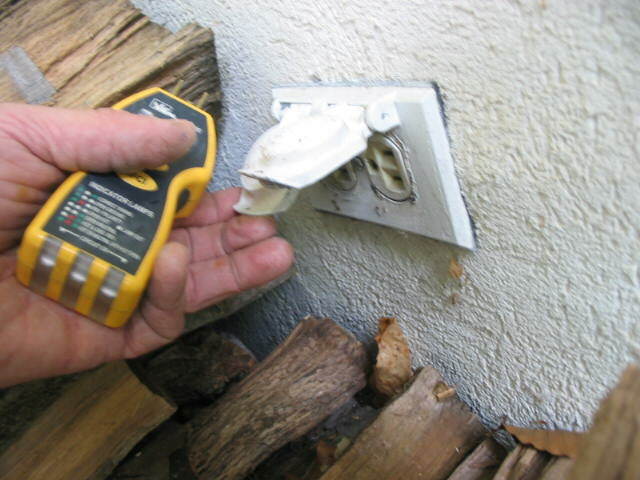 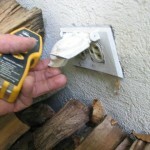 All outdoor receptacles require GFCI (ground fault circuit interrupter) protection. 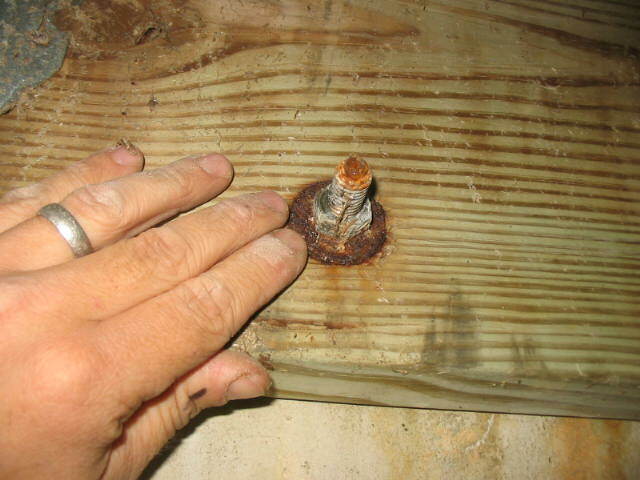 Deteriorated conditions of deck fasteners require immediate repair. 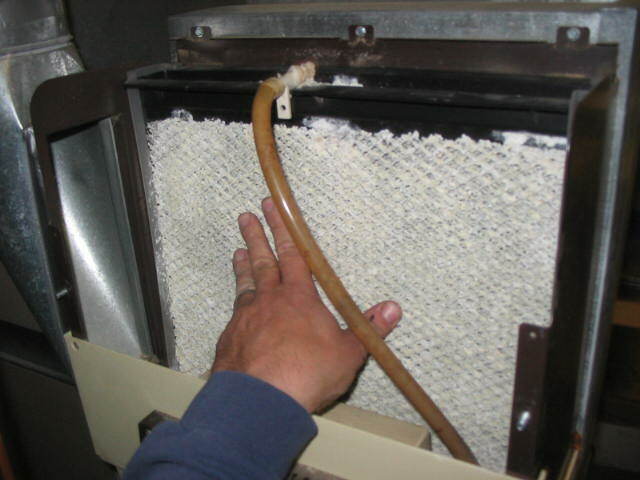 Central humidifiers require regular maintenance in order to perform as expected. 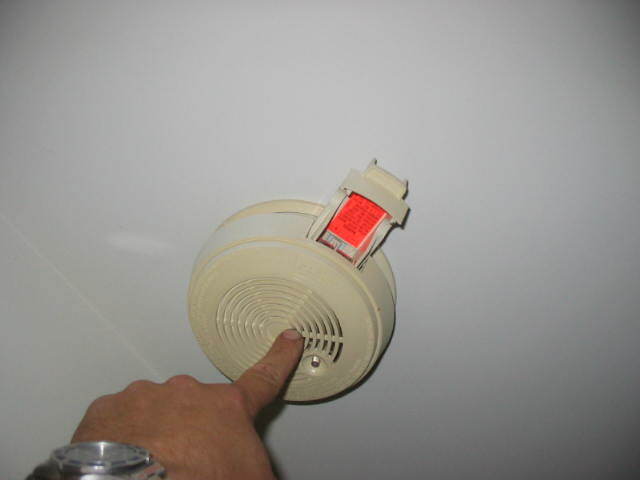 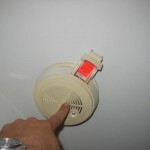 Smoke detector batteries should be tested regularly and replaced every year.